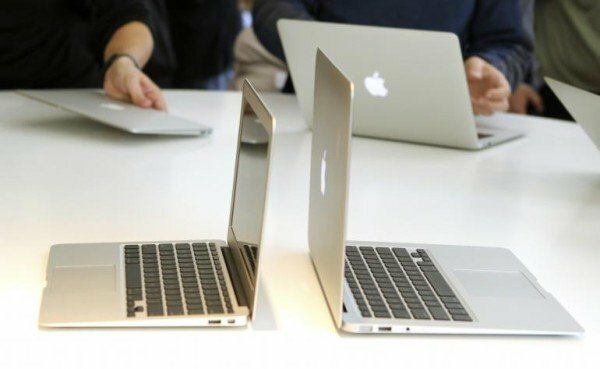 After announcing its Watch collection prices and release date, Apple has unveiled a new 12in-screened “retina” class laptop. The new laptop has a higher resolution screen than its MacBook Air range, which remains on sale. The company added that it was its thinnest laptop to date, measuring 0.52in at its thickest point, thanks in part to it no longer needing an internal fan. It is also Apple’s first laptop to provide vibration feedback via its trackpad, and be sold in a gold-colored option. Apple suggested that users could also use Bluetooth and Wi-Fi to link the machine to other kit, but some users are likely to miss the ability to easily connect older peripherals such as an external hard disk or mouse. The basic version will cost $1,299, making it a mid-range model for the company. Apple also unveiled a new software product – called ResearchKit – for its iPhones that can be used by medical researchers to gather data from volunteers without the information ever being shared with Apple itself. The tech giant revealed that the University of Oxford had already developed an app using the facility to help it investigate the causes of heart disease and New York’s Mount Sinai hospital is using it to study irritants that might cause asthma.